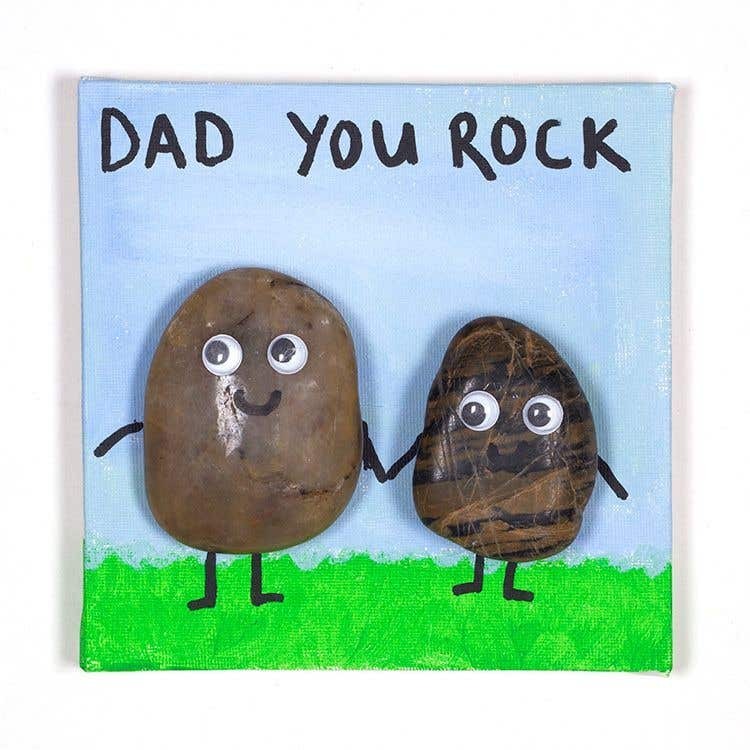 Tell Dad how much he rocks on Father’s Day with this cute rock art wall canvas. 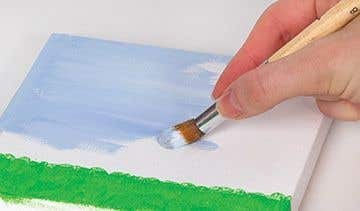 Mix blue and white paint together to create a light shade of blue. Then use it to paint the sky onto the canvas. Below the sky use green paint to paint the grass. Leave to dry. Pick out two stones, one slightly smaller than the other. Then, once the paint has completely dried, use the glue gun to stick them to the canvas. 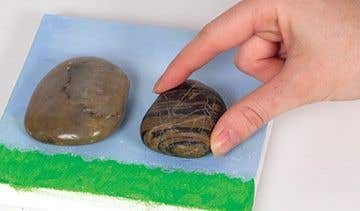 Glue two wiggle eyes onto each stone. Then use a black deco pen to draw a smile underneath. Use the black deco pen to draw legs underneath the stones, and arms either side. 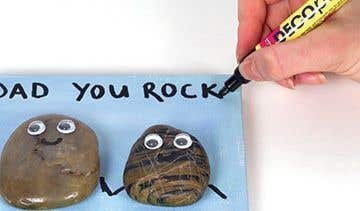 Write DAD YOU ROCK at the top of the canvas. Use the smaller stones in the pack so that they're not too heavy on the canvas when hung, and apply plenty of glue to ensure they stay secure.